The Nightingale sat powered down in the bay of one of the richest trading hubs in the galaxy. All the top quality murch came through here. The loading bay area was filled with a dozen or so ships with their crews all rushing around to get their purchases loaded and ready for transport. Fine clothing, colorful packages, and glittering jeweled trunks added a kaleidoscope of color to the otherwise metallic gray of the loading bay. Fragrant spices, scintillating perfumes, and fresh flowers all filled the bay with their amazing aromas. At the bottom of the Nightingale’s ramp, however, sat an entire pallet of paper towels. Craig, the Nightingale’s captain, carried each large package of paper towels up the ramp into his ship and set them down gently in the farthest corner of the cargo bay. His copilot stood at the bottom of the ramp shaking his head incredulously. “The wood from the pallet would just add to our weight!” Craig answered on his way back from bringing the last package onboard. The two men stood beside the cargo door and simultaneously turned the wheels to raise the ramp. The door hissed and sealed shut. “But why paper towels? I just don’t get it! 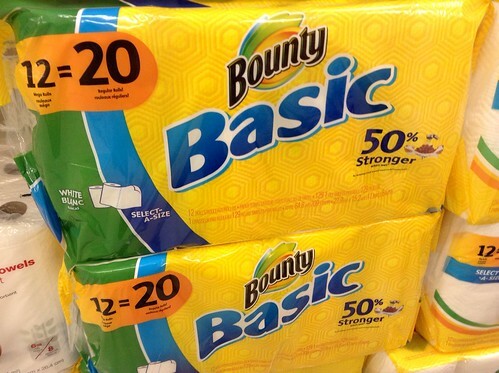 What’s so special about these paper towels? Paper towels come standard in the ration packs.” Craig’s copilot said. The two men headed back up the cargo bay, through a set of double doors and into the cockpit. “Why these ones though?” Jimmy asked. Craig took his seat and began flicking on the various switches on the dashboard. “Engine’s reading fine, fuel’s at 480,” Jimmy read off the instrument panel dials while waiting for a response to his question. “I leave her for a whole month at a time every other month. The least I can do is try to bring her what she wants when I come home. Apparently these paper towels work much better than the standard ration ones.” Craig answered with a sideways glance at Jimmy. “What, do they, like, have cleaner embedded in them or something?” Jimmy asked while flicking some switches on his own side of the dash. “Nope, dude all they do is soak up more liquid. They are a bit more sturdy if you have to scrub something. That’s it.” Craig answered. This one tops out right at 500 words. Readers: What would YOU bring home, after being gone for a month, that would make your wife or husband happy?